CDL continue to work closely with all of their Franchised Product ranges and are pleased with the arrival of the latest IMO i3 range of controllers that have now been expanded to include the NEW i3C colour touch screen controller. The i3C offers users a larger colour display, a faster scan rate and a wider operating temperature. Same built-in I/O options as our i3A and i3B controllers – with up to 44 points. Faster logic scan rate (0.2m/SK) for larger or more demanding applications. Offers 3 Serial ports (USB programming port plus 2 RS- 232/485 serial ports), unusual for a controller in this price range. Includes unique onboard MicroSD™ memory for data logging and upgrading programs. Works with the i3 Series family of field installable add-on modules such as Ethernet, Mobile modem, telephone modem and radio modem-mix and match i3A, i3B and i3C and use the same options. How can the i3 Intelligent Controller can work for you ? 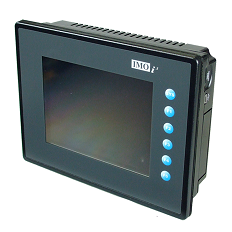 IMO’s i3 controllers offer a unique solution since it is both a PLC and HMI combined in one device. It is also small, very powerful and has many unique connectivity features. 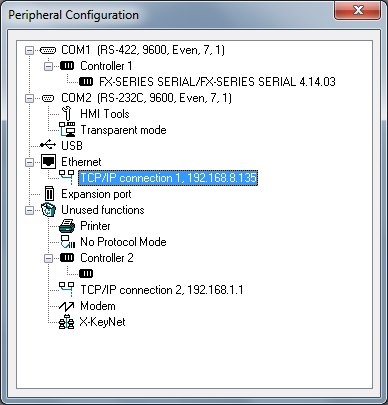 One such feature is the GRPS modem option, which is ideal for applications where the controller is somewhere out in the field. Remote monitoring, control and programming of devices can reduce service visits required and allow first class customer service to provide to end customers. 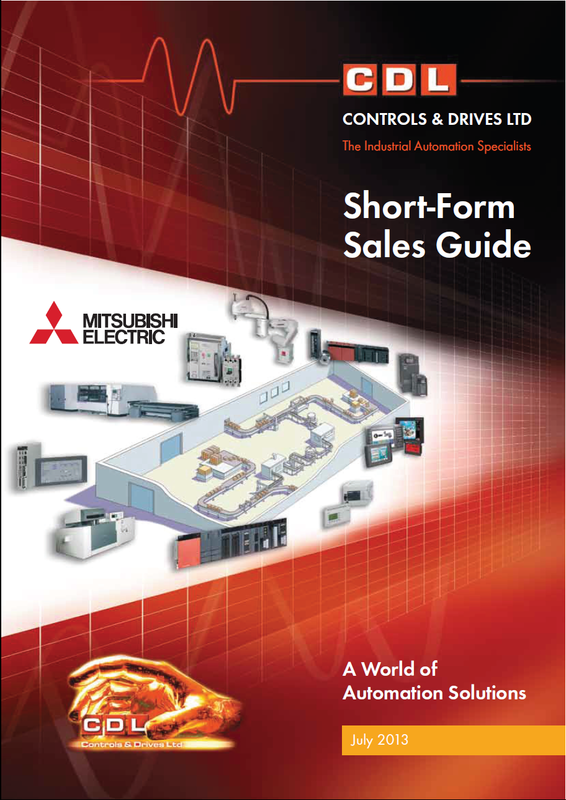 It minimizes downtime, maximises productivity and reduces servicing costs by allowing the possibility of fault diagnosis without visiting site. Many specialist vehicles contain a variety of high tech equipment and software. These system are often produced by several suppliers, therefore having a variety of different interfaces. The i3 solves this problem by providing the user with a single interface running on a touch screen PC. Remote monitoring, control and programming have previously had been restrictive due to legacy devices only providing serial communications. Imagine being able to programme these devices from your office miles from their location on the factory floor! In fact the devices could be anywhere in the world. 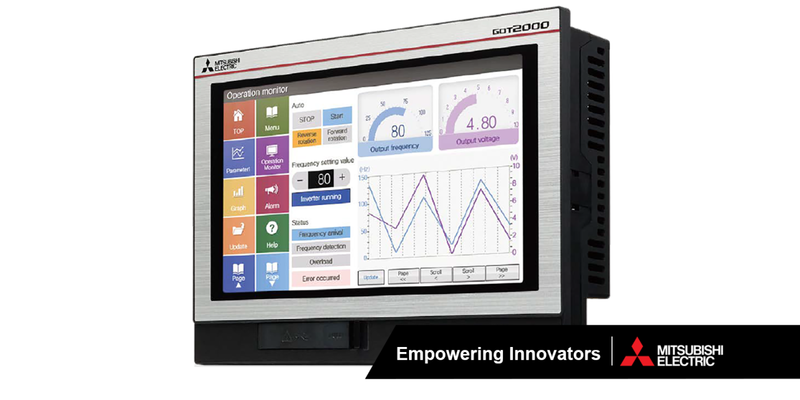 Mitsubishi’s range of HMIs are ideal for any industrial environment. Each of the human Machine interfaces come with powerful software and offer hardware products ranging from 4.3″ HMIs to 21″ industrial PCs. Whether for the factory floor or for harsh environments, the all new iX Panels run the revolutionary iX Developer Software with drivers to communicate with your automation equipment. The iX HMI has unique and intelligent navigation tools and using swipe and scroll on its screen makes for faster and efficient applications. These tools include allowing one screen to show multiple instances that can be changed during runtime and you can also show multiple amounts of information in small areas using animated labels with variable speed and direction. You can personalise the iX HMI by using C# scripting and .NET components. Using custom colours you can build your own screens, customise dialogues in colours, fonts & touch area size, choose between 14 different trend charts, also available in 3D style. These operator panels can share information with each other via panel networks so it is easy to share information between users and provides safer control over long distances. If you need to turn facts into figures, then just use the built in report generator to print or save Excel reports. Using the panel web server you can design your own web page by using the tag data API and just log in. This allows you to be able to see and use the information you see on the panel on a mobile device anywhere in the world. TxA are the cost effective solution, the smaller TxA models offer cost efficient solution with solid HMI functionality for small and medium sized applications. Display sizes 4, 7 and 10”. 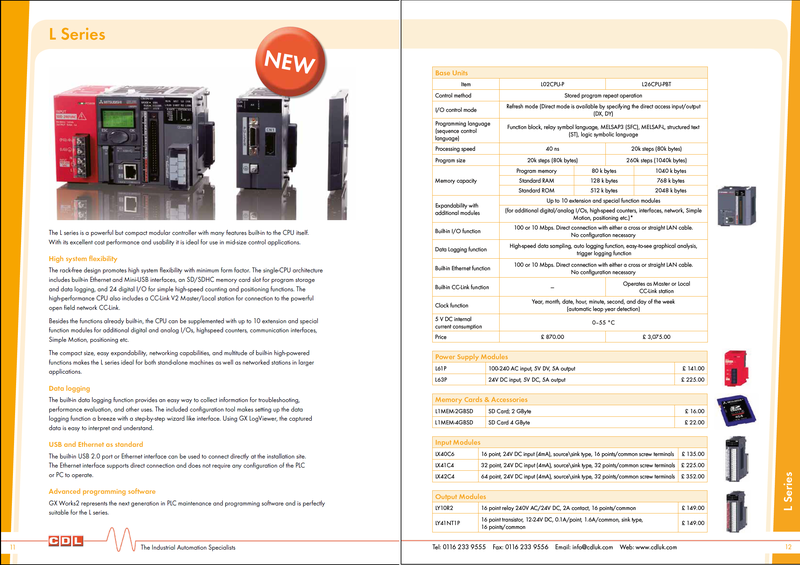 TxB are the high performance operator panel and are the mid range models. These are high performance and are suitable for medium to large HMI applications that require the handling of more data and utilising more functionality. Display sizes 7, 12 and 15”. TxC are for the more demanding applications and takes the HMI to industrial PC levels. These are high performance for larger projects. The largest 21” model supports full HD. Now, if you’ve used HMI Tools before I’m sure you’ll agree it’s a powerful and useful tool, there’s no doubt about that, but for those of you who haven’t got it installed and just want to quickly extract a few files from your E1000, you don’t want to have to run an install from disc – especially if you’re out on site and don’t have the disc with you! 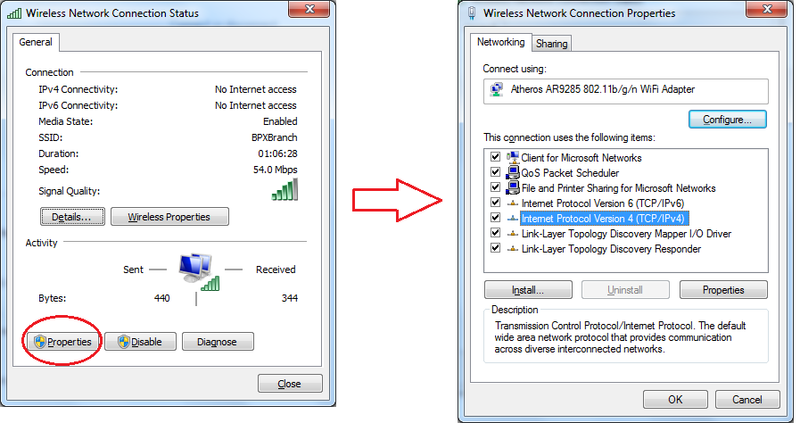 And the other good thing is, you can do this method over Ethernet – no need to wait around for serial comms! As you can see, my IP address was 192.168.8.135. From this screen the only thing you need to enter is the IP address which matches the range assigned to the HMI, in my case it was: 192.168.8.10. The subnet mask will populate itself once you tab across to it. 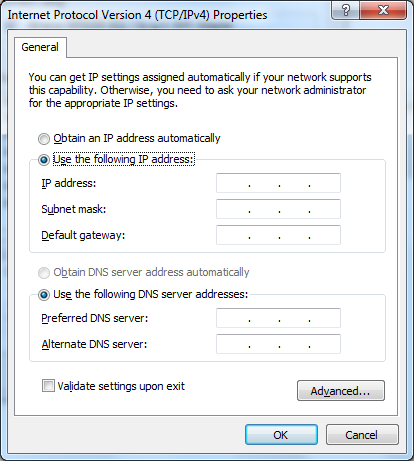 As for the ‘Default Gateway’ and the ‘DNS’ settings, they can all be left untouched. 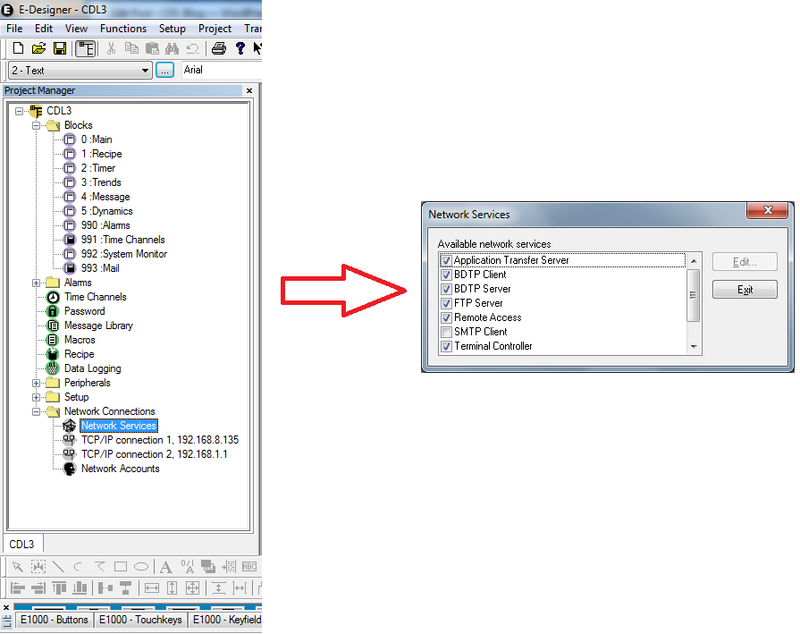 From the Network Services window ensure that the ‘FTP Server’ option is ticked, then press the Exit button. Now simply transfer the whole project to the HMI – be sure to select TCP/IP transfer from the communication properties before trying to transfer. As you can see, we now have access to Alarms, Images, Trends, Recipes, HTML and if you click into the INFO.TXT file you even have access to basic information about your HMI such as: firmware version, IP address and spare memory etc. 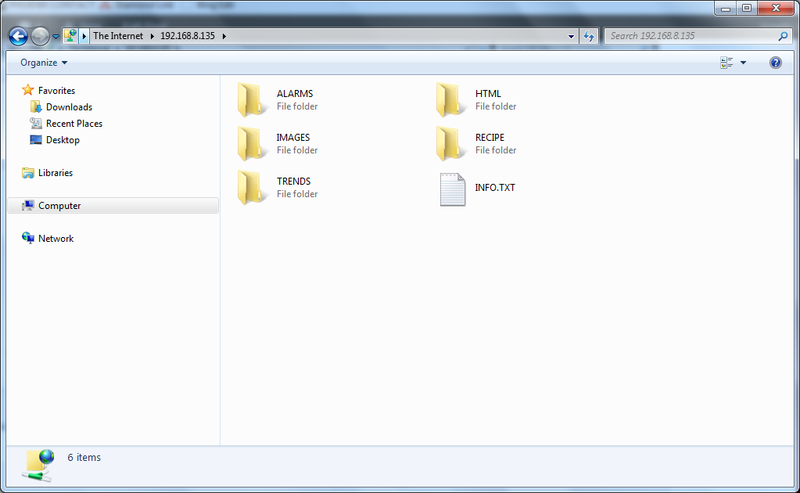 If you click into these folders you’ll find they contain .CSV files, which you’re able to open in a Spreadsheet, Ta Dah! This concludes this blog post, thanks for tuning in! Find the path of your removable device and hit save! Be sure to save it in the route directory. Press OK and the project will be downloaded automatically into the terminal and run through the boot-up with the new project. Congratulations, you have now successfully loaded a project into the terminal!